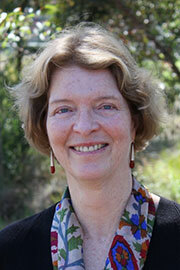 Thornton’s research focuses on children’s acquisition of morphology, syntax, semantics. Her research program assesses various aspects of Chomsky's theory of Universal Grammar to investigate which aspects of children’s linguistic knowledge are part of their genetic endowment and which aspects are learned from the environment. 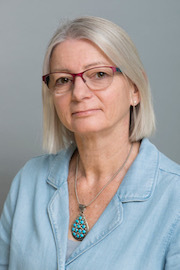 Cupples has research interests in the area of psycholinguistics, with a particular focus on sentence comprehension and production in: skilled language users; disorders of sentence comprehension and production following brain damage; and reading development (especially in children and adults with disabilities). 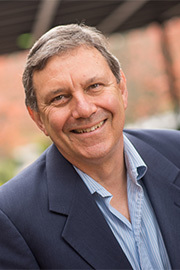 The last decade of Crain’s research has focused on children’s acquisition of semantic knowledge, in particular young children’s knowledge of logical operators. Much of this research has been cross-linguistic, with a particular focus on Mandarin Chinese. 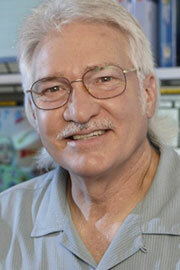 Demuth’s research focuses on language acquisition, including studies of speech and language perception and production. She is especially interested in the development of phonological and morphological representations, speech planning, and the development of language processing abilities in both typically developing, language-impaired children, and hearing-impaired children bilinguals and L2 learners. Much of her work is cross-linguistic, using acoustic analysis and a wide variety of behavioural and neural techniques to better understand the mechanisms underlying language acquisition. Giblin's research focuses on syntax and children’s acquisition of syntax. His research program is situated within Chomsky's theory of Universal Grammar and investigates the common structural basis of human language and how this knowledge is attained. Johnson’s research area is computational linguistics – ie. explicit computational models of language acquisition, comprehension and production. His recent work focused on probabilistic models for syntactic parsing (identifying the way words combine to form phrases and sentences) and semantic interpretation, and on Bayesian models of the acquisition of phonology, morphology and the lexicon.